After leaving the Baños del Almirante somewhat disappointed, we decided to try our luck at the nearby Carcel de San Vicente Mártir, in the Plaza de la Almoina. And we found it a lot more interesting. The building is near the cathedral, in one of the historical focal points of the city. 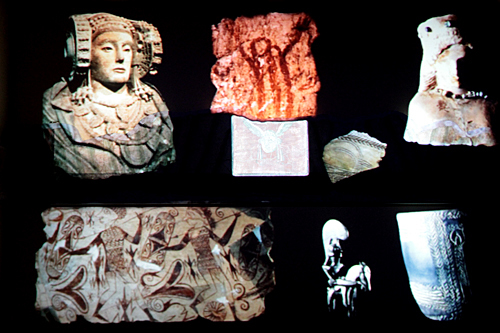 Remains of civilizations stretching back to the Romans can be seen in this area, and the crypt contains an intact Visigoth chapel from the 6th Century. 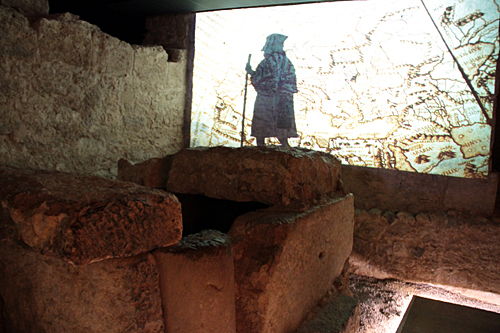 This basement is supposedly where San Vicente was held captive prior to being martyred in 304 AD. Although, when I pointed out to the guide that there’s another spot in Valencia that claims to be his jail, he readily admitted that no one really knows “for sure” where the jail was… but it certainly could have been here. 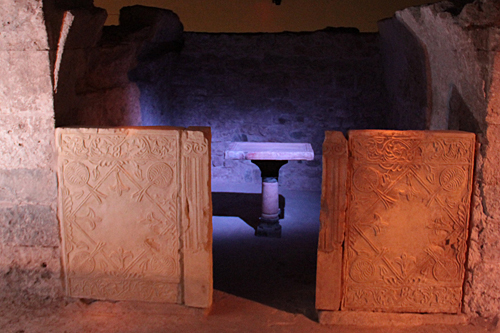 The basement ruins are interesting enough, but the best part of the experience is a very cool audio-visual guide that leads you through Valencia’s early history, from the Visigoths to the Moors, to the arrival of Christianity. It’s available in English and provides a fascinating glimpse into the city’s early days. We loved this exhibit, and were shocked to be the only visitors at 18:30 on a Saturday evening in May. The entrance is free and well worth your time. You can probably get lucky with an English tour, like we did, but you might want to call ahead to make sure.